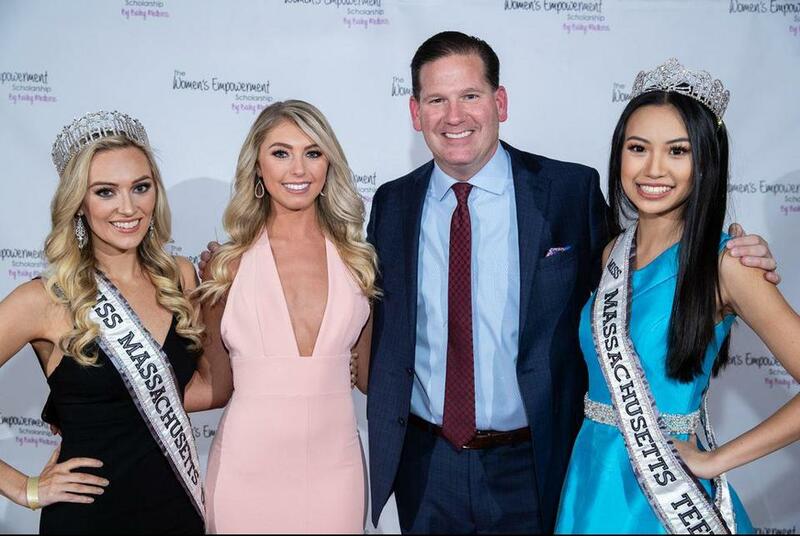 Tom Leyden, a Boston 25 sports anchor, and Bailey Medeiros, a former Patriots cheerleader and 2014’s Miss Massachusetts Teen USA, teamed up on Friday night to cohost the Kick Off the Holidays Party at the Galleria at Davio’s Boston. The evening was part of an effort to raise money for the Women’s Empowerment Scholarship, which provides financial aid to young women pursuing higher education. More than 230 people attended the event, at which comedian Kelly MacFarland performed and the band Sugar provided music for dancing. Among the attendees were Miss Massachusetts USA Kelly O’Grady and Miss Massachusetts Teen USA Annie Lu. Kick Off the Holidays raised more than $30,000, according to Leyden, who said that additional donations are anticipated and welcomed.